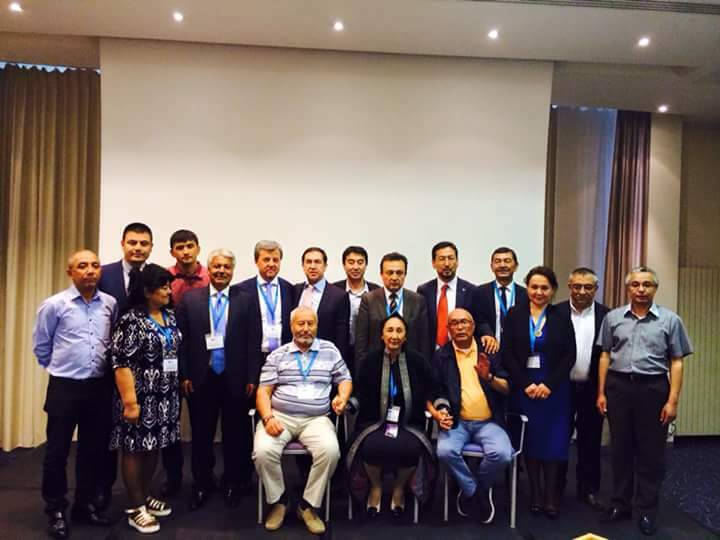 The World Uyghur Congress, under the cosponsorship of the Unrepresented Nations and Peoples Organization (UNPO) and the Uyghur Association of France (Association des Ouïghours de France) successfully completed its 5th General Assembly on July 13th in Paris, France. The Assembly brought together over 140 WUC delegates from 18 countries to elect new representation, amend the Charter of the organization and to discuss a forward-looking strategic advocacy plan over the next four years. The public opening session brought together members of the Uyghur community with representatives of civil society in France as well as WUC affiliate organizations from around the world to highlight the successes of those groups as well potential areas for improvement. Speeches during the ceremony were delivered by WUC President, Rebiya Kadeer and UNPO Secretary General, Marino Busdachin, along with leaders of WUC affiliate organizations. The second day of the Assembly saw elections take place for a number of positions within the organization. With overwhelming support, Rebiya Kadeer was re-elected as WUC President. In similar fashion, Dolkun Isa was elected with overwhelming support from the delegates to retain his position as Chairman of the Executive Committee—a position that will now perform all the duties heretofore carried out by the entire Committee. Additionally, elections were also held for vice-presidential positions for five Uyghur representatives. Omer Kanat (United States) was reelected as vice-president and will now take up duties managing the daily activities of the WUC that were heretofore performed by the president. Additionally, Umit Hamit (Germany) and Seyit Tumturk (Turkey) retained their positions as vice-president, while Perhat Muhammed (Germany) and Arkin Ahmetov (Kazakhstan) were newly elected. Twelve additional positions were also elected and will serve over the next four years in various positions within the organization. The third day allowed time for delegates to be split into groups for more open discussion to cultivate knowledge and strategy in regards to advocacy and fundraising. During these meetings, all delegates were able to raise their voices and offer suggestions as to the focus and approach of each member organization. Additionally, changes made to the WUC Charter and three new committees were established including those focusing on refugees, fundraising, and an advisory council. At the closing meeting of the General Assembly, WUC President Rebiya Kadeer reiterated that we must build on past successes to orient our advocacy approach over the next four years.